Estate: Castello di Farnetella is located in the province of Siena in Tuscany, Italy. The Poggiali family [owners of the renowned Fèlsina estate] purchased the historic estate with its 65 hectares of vineyards in 1981. Fèlsina is headed by Domenico and Giuseppe Poggiali along with Giovanni Poggiali, the oldest of Giuseppe’s three sons. Fattoria di Fèlsina is renowned as one of the greatest vineyards in the Chianti Classico region of Tuscany, producing “one of the finest ranges of age worthy and complex Chianti bottlings in all of Italy”. Winemaking: As with all of Fèlsina’s properties, the vineyards are farmed organically and sustainably, additionally, Castello di Farnetella is also practicing biodynamic methods. Grapes are hand harvested from vineyards with loam, sand, clay and chalky soils. Tasting Notes: Dark garnet in colour with aromas of cherry, black pepper, leather and earth. 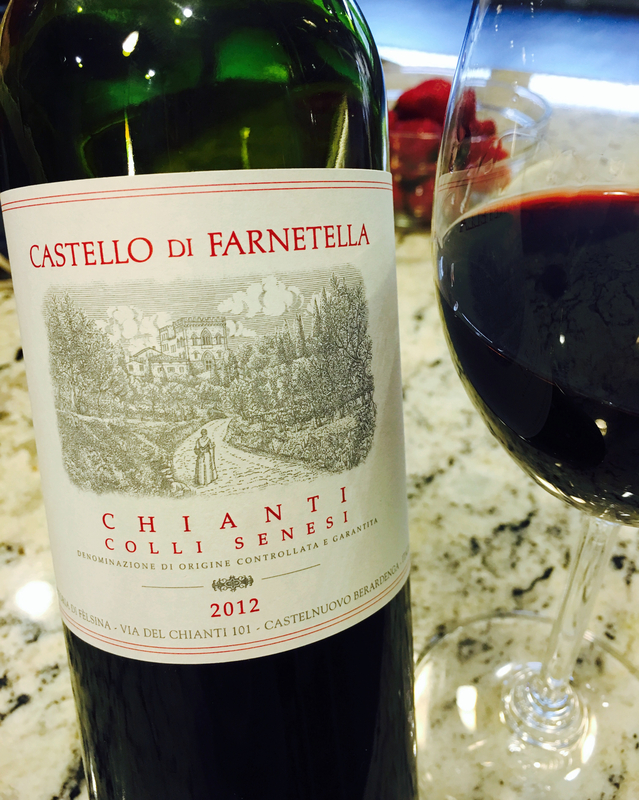 A lovely, well balanced, fruit forward expression of Chianti, with cherry, leather and floral notes supported by a spiced, earthy core. Grippy tannins and traces of cigar box spice are complimented by black cherry on the dry finish. A phenomenal value that will be drinking for many years to come.